We are fully equipped with the latest machineries and equipment and are well versed to engage for operation, most effective techniques, insecticides / germicide / disinfectant and chemicals. We render effective disinfections service against virus, bacteria and other organism, removing of sediments and moss by chemicals and scientific method. 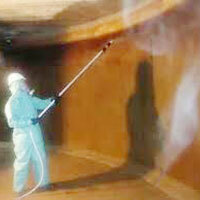 We will use the several chemicals during cleaning of water tank in different composition and dilutions. Our method is scientific and hygienic for replacement of sediment and disinfections of virus, bacteria, and other organisms. 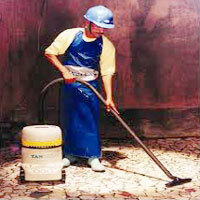 We have abroad trained technician to supervise tank-cleaning service. To wash out existing water is our responsibility. Time required 2 to 3 hours for each tank as per size. We suggest tank cleaning twice in a year due to leakage of pipelines and climatic water condition of our country.